January 4, 2005 – Curcumin, the yellow pigment in curry spice, is to be investigated for its potential in prevention of Alzheimer’s disease after tests on mice found it to be more effective than drugs currently being investigated for treatment. A dietary staple of India, where Alzheimer’s disease rates are reportedly among the world’s lowest, curcumin appears to block and break up brain plaques that cause the disease. The spice has also been found to correct the cystic fibrosis defect in mice, prevent the onset of alcoholic liver disease and may slow down the blood cancer multiple myeloma as well as multiple sclerosis. Reporting in the 7 December online edition of the Journal of Biological Chemistry, researchers from the University of California Los Angeles also revealed that curcumin is more effective in inhibiting formation of the protein fragments than many other drugs being tested as Alzheimer’s treatments. 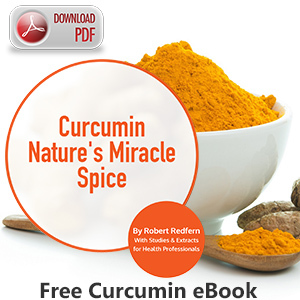 The researchers found the low molecular weight and polar structure of curcumin allow it to penetrate the blood-brain barrier effectively and bind to beta amyloid (which form the disease-causing plaques). In earlier studies published during 2001, the same research team found curcumin has powerful antioxidant and anti-inflammatory properties, which scientists believe help ease Alzheimer’s symptoms caused by oxidation and inflammation. The body of research has prompted the UCLA Alzheimer’s Disease Research Center (ADRC) to begin human clinical trials to further evaluate its protective and therapeutic effects. “The prospect of finding a safe and effective new approach to both prevention and treatment of Alzheimer’s disease is tremendously exciting,” said principal investigator Gregory Cole, professor of medicine and neurology at the David Geffen School of Medicine at UCLA and associate director of the UCLA Alzheimer’s Disease Research Center.